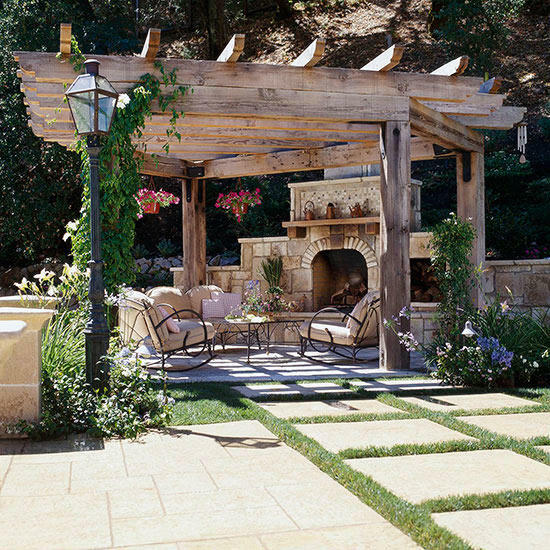 The most well-designed outdoor living spaces serve as extensions of our home and life. 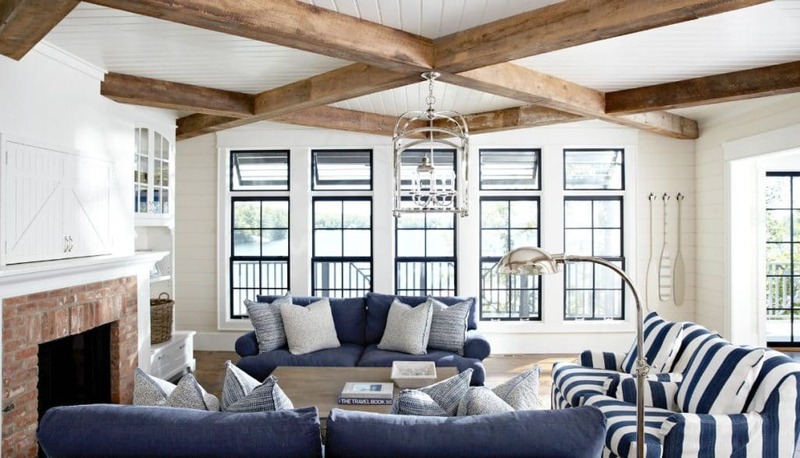 These spaces need to work not only as outdoor rooms that are beautiful, but fulfill a purpose! 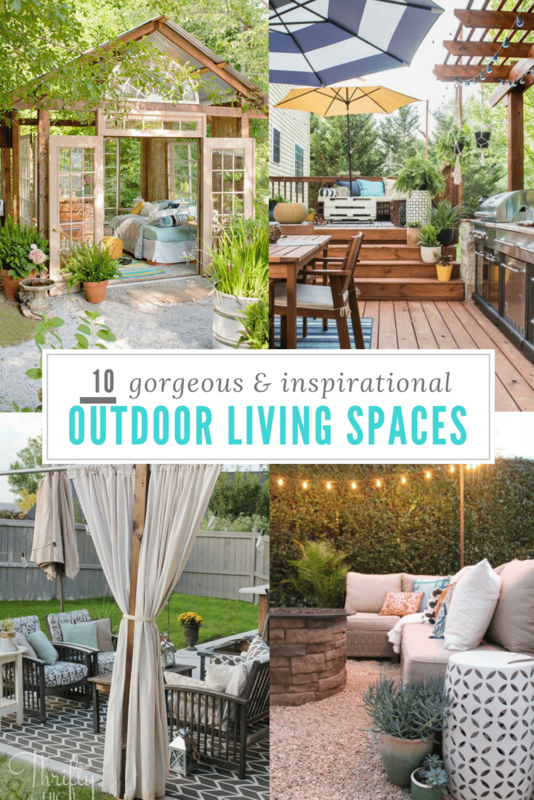 Whether you already have an outdoor room or are dreaming of creating one someday, I hope you love these gorgeous and functional outdoor living spaces as much as I do! Ever since visiting my aunt and uncle on St. Thomas USVI back in college and seeing all of their gorgeous outdoor living spaces, I’ve been fascinated with the idea of outdoor rooms. They had 3 different dining “rooms” outside and the whole home was an open concept. When you walked through the front door the back door was open to a view of the bay below. But I was most intrigued by their outdoor laundry “room,” which was merely one wall of a covered patio and a washer a dryer. So fun! 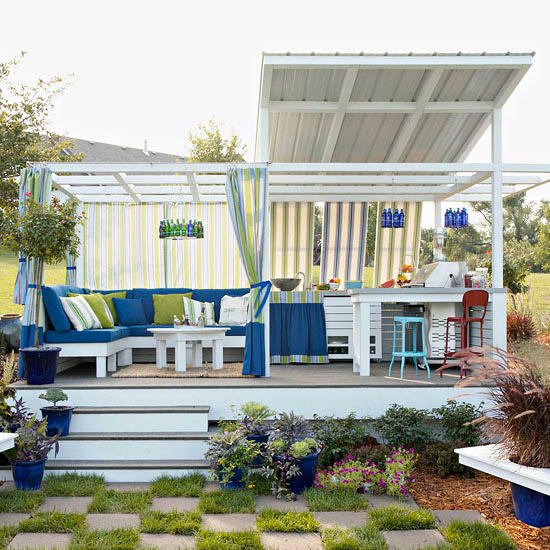 I hope you’ll find the same inspiration with these amazing outdoor living spaces! 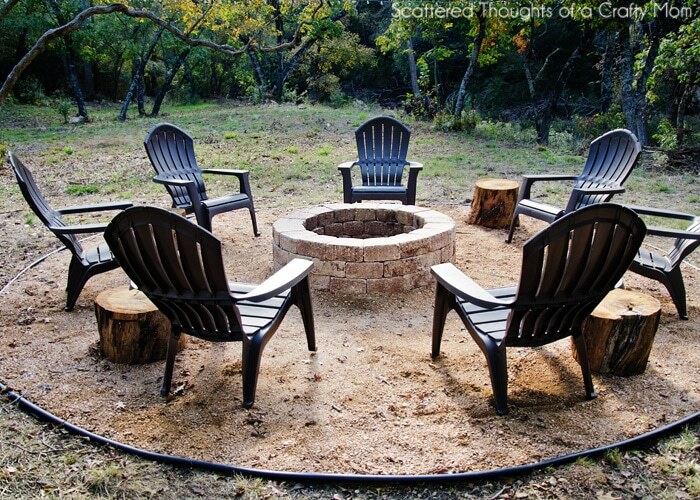 This country chic outdoor fire pit is perfect for summer nights. Even without any walls, the lights and towering trunks give boundaries to this open space. 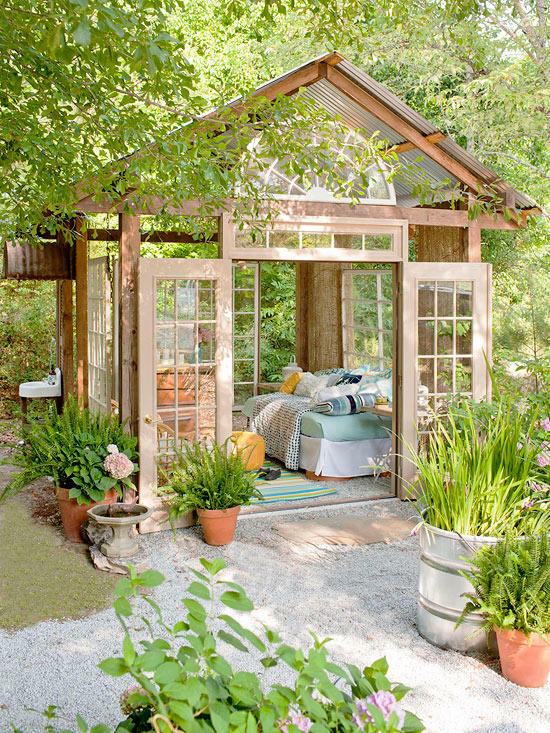 Sometimes she sheds are more of a building than a true outdoor space, but with these large french doors, open-air design and huge windows, I’m She-Shed Dreaming! 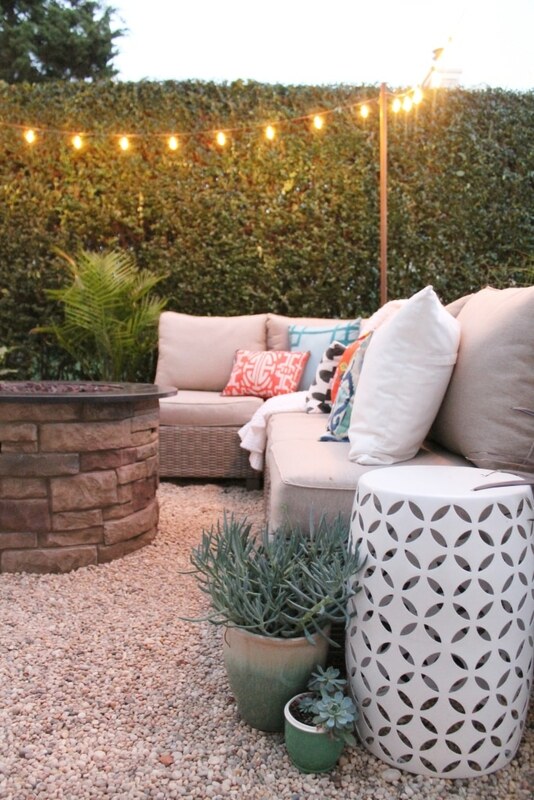 This DIY pea gravel patio is a backyard oasis with seating, a fire pit, grill and dining area. It really is live having a second kitchen! It’s all so gorgeous! Hop on over and take a peek. 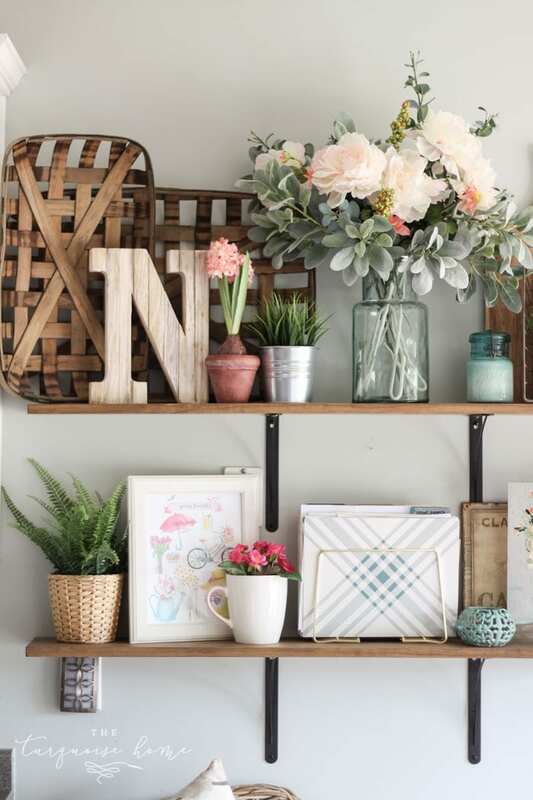 Trust me – you want to see the rest of this space! 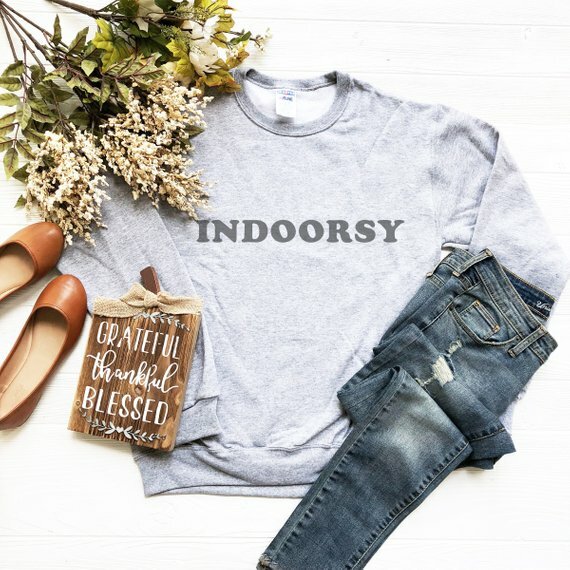 I love outside rooms. 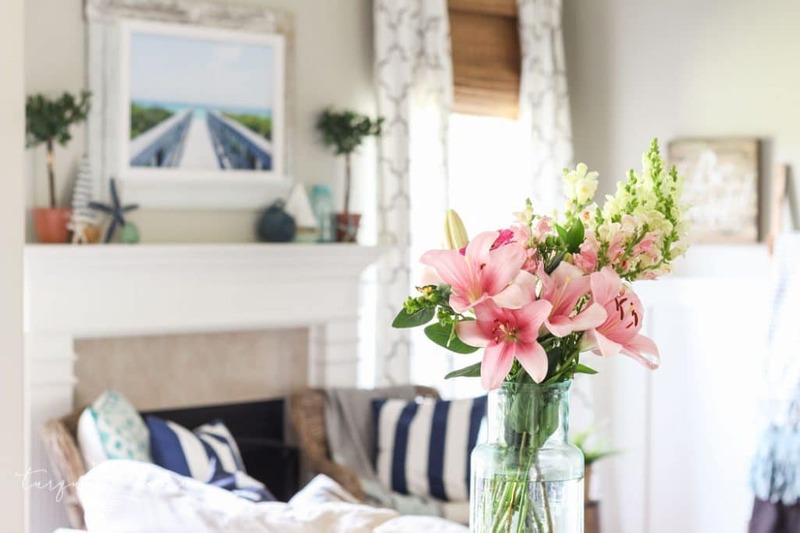 There is something so wonderful about have a spot outside to dream and nest, filled with soft pillows, billowy curtains and warm throws for chilly mornings! Just adding a pergola over a space will give it definition and charm. You can then use the perimeter to make a living space and add a fireplace or fire pit for extra ambiance and warmth! 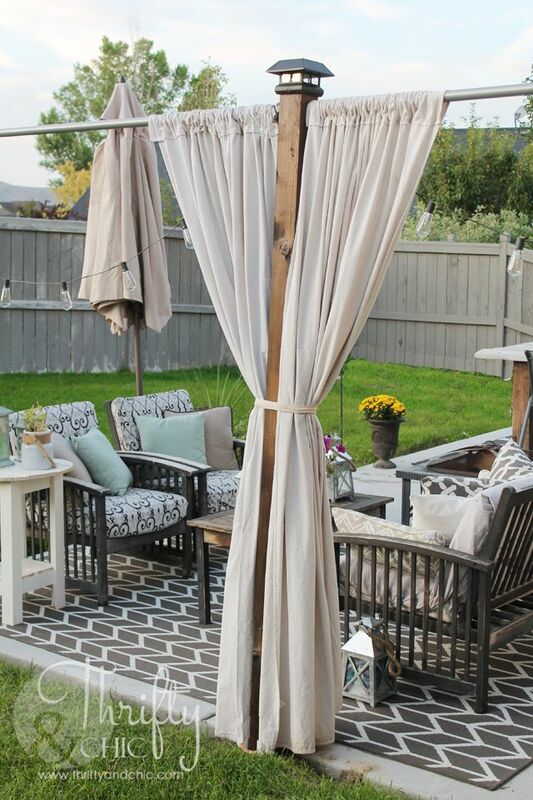 I love the idea of hanging a swinging bed from a pergola as well. Ahhhh…. 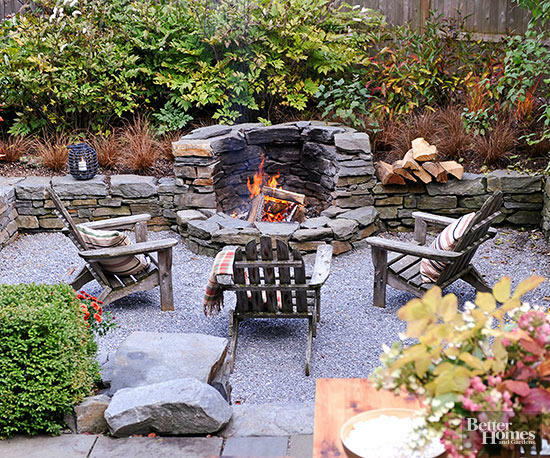 A custom rock fire pit creates a cozy outdoor living space with a fireplace. The sunken outdoor room lends itself perfectly to long talks late into the cool evenings. 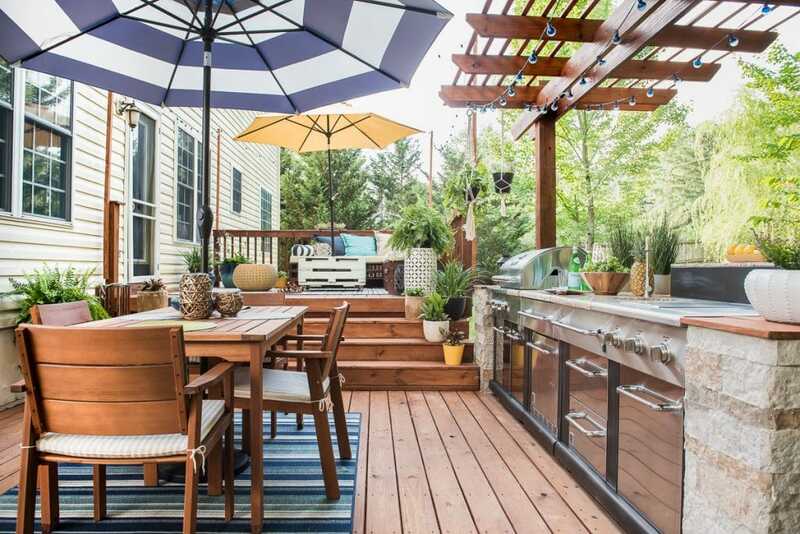 This outdoor kitchen and sitting are are perfect for entertaining. The checkerboard lawn keeps guests entertained while you grill and get ready to eat. 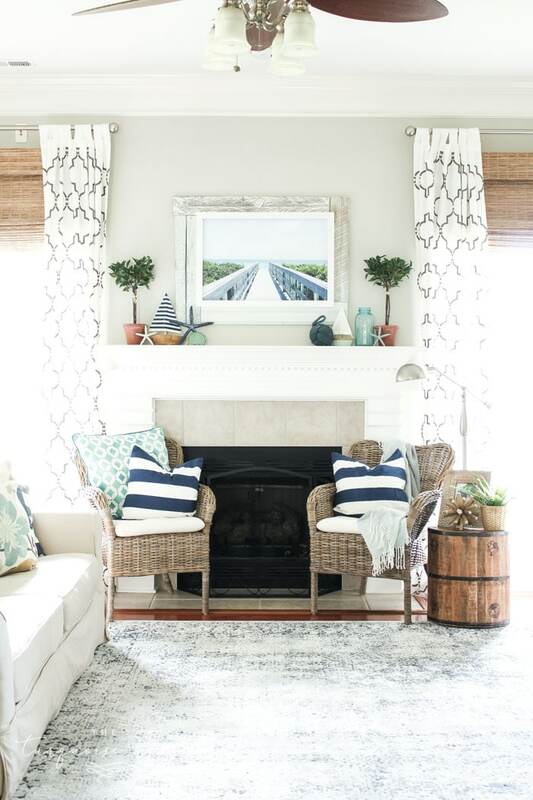 The festive outdoor fabrics and colors give a punch of style to the space! This simple DIY is just perfect for some s’mores on a summer night! Fire pits and outdoor spaces are great for extendability the live-ability of your home and entertaining spaces. 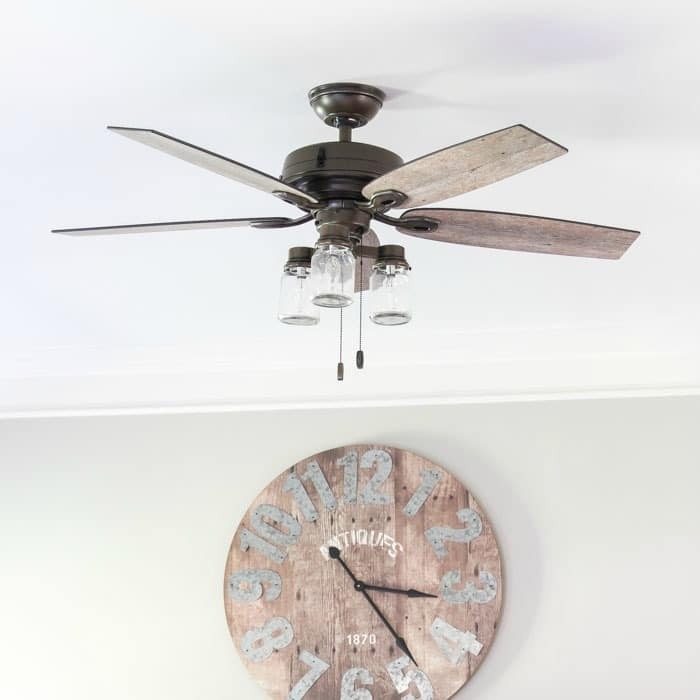 You’ll be so inspired by this space and the before and after transformation! Aniko created this gorgeous outdoor kitchen space and dining area as an extension of the seating area that already existed. Love it! 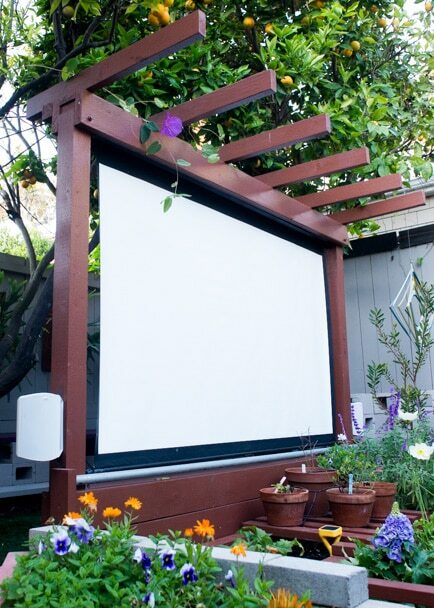 What a cool idea that this couple had to create a outdoor theater in their garden. And the fun part is that it can roll up and out of the way when not in use. 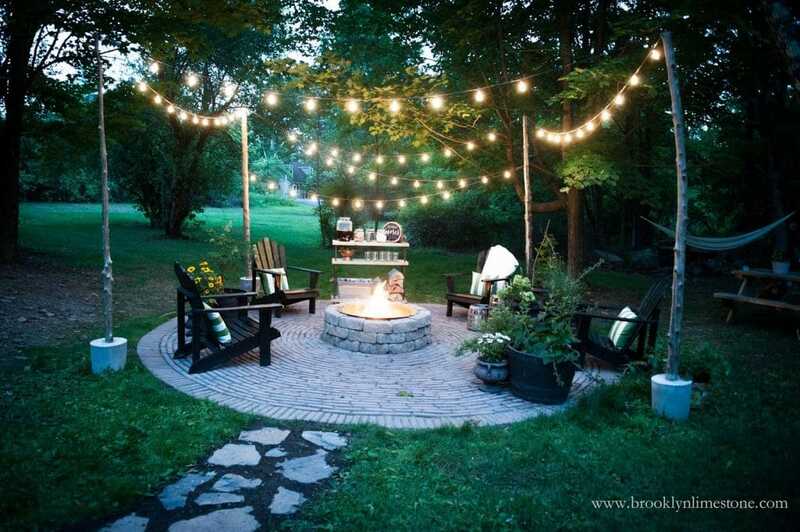 I’m seriously considering this for when we add on to our back patio! 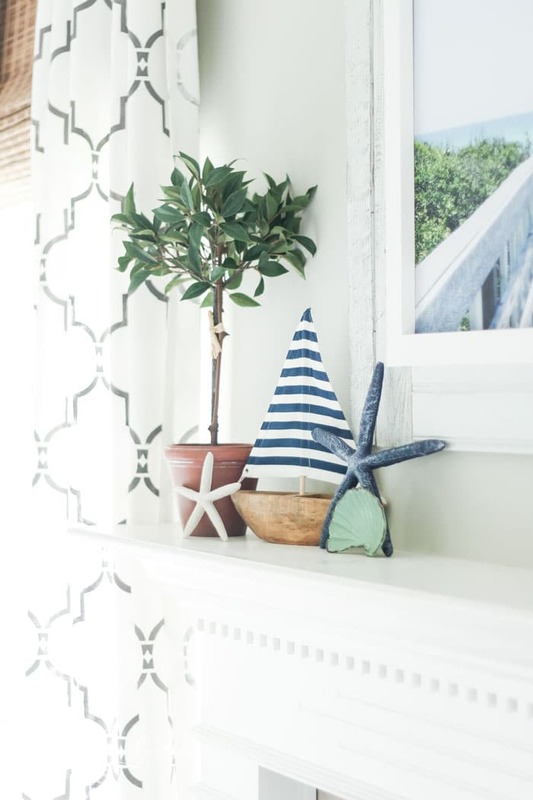 The whole thing is so cute, so be sure to click over and see it all! They have a full DIY tutorial! I hope you enjoyed these functional and beautiful outdoor rooms. Which one is your favorite? 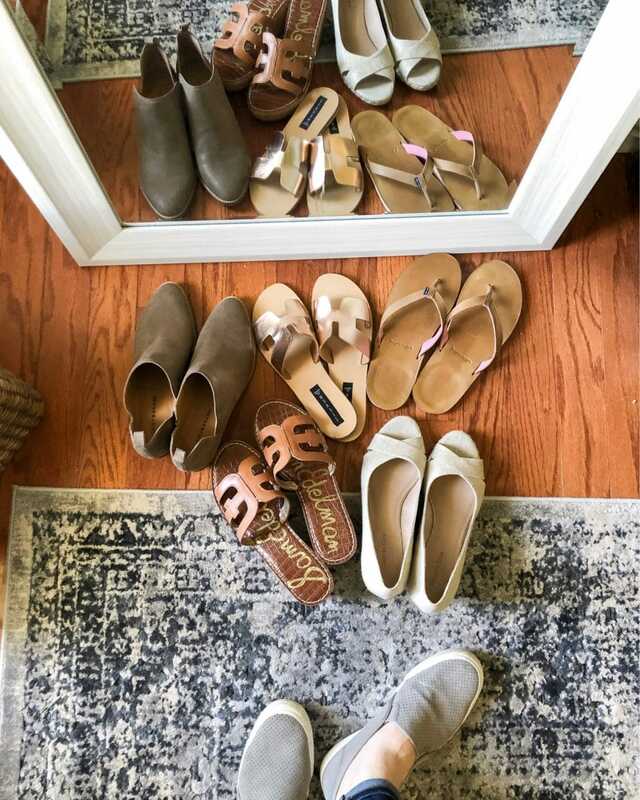 Can you even choose?! Scroll and shop for accessories and furnishings for your outdoor living spaces! Like the couple on your list above we are looking at adding a “theatre” to our outdoor living space. We’ve considered a screen and projector combination like them but have decided to go for an outdoor TV. My patio is partially covered and while the set will never get “soaked” it will undoubtedly get wet from water being blown in during storms. I’ve been looking at the TVs listed on this page: https://www.outeraudio.com/outdoor-tv/ . Have you got experience with brands or sets that you’ve worked with in the past and can recommend? Thanks in advance!